The President of Tanzania Dr. John Magufuli on April 12th 2017 has laid the foundation stone for the construction of the first section of the standard gauge railway connecting the port city of Dar es Salaam to Morogoro. The 300 kilometers rail line will be able to carry passengers and cargo up to 35 tons and transport a total of 17 million tons of freight per year at a speed of up to 160 kilometers per hour. The existing narrow railway, built in 1912, carries passengers at a speed of less than 30 kilometers per hour, carries a maximum of 13 tons and has the capacity to accommodate a total of only 5 million tons of cargo per year. The construction works will be carried out by a consortium (50/50) between the Turkish construction group Yapi Merkezi and the Portuguese construction group Mota-Engil. The works are expected to last for 30 months at a total cost of TZS 2.7 trillion and are part of the 1,219 kilometers standard gauge railway project connecting Dar es Salaam to Mwanza on lake Victoria. 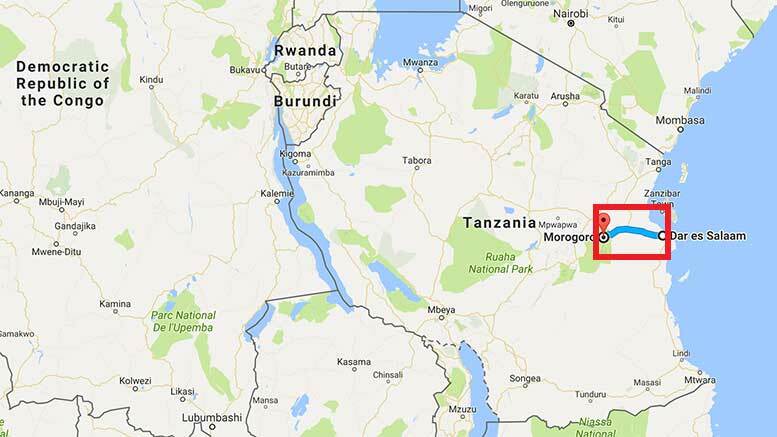 The Chief Executive Officer of the Reli Assets Holding Company (RAHCO), which develop, manage and maintain the Tanzanian rail infrastructure, Mr. Masanja Kadogosa noted that through the new railway passengers will be able to travel between Dar es Salaam and Morogoro in 2 hours and 50 minutes. President Magufuli reminded that the railway will also improve the movement of passengers and cargo to the neighboring countries of Rwanda, Burundi, Uganda and the Democratic Republic of Congo, stimulating regional trade, and will generate 600,000 direct employments. The Tanzanian rail network comprised two main railways: the Tanzania Railways Corporation (TRC) network of 2,600 km and the Tanzania-Zambia Railway Authority (TAZARA) of 1,067 km, connecting Dar es Salaam with Kapiri Mposhi in Zambia. The TRC mainline comprises the central corridor between the port of Dar es Salaam in the east, linking central and western areas of the country and terminating at Kigoma on Lake Tanganyika in the west.